THINKING ABOUT GETTING NEW BLINDS? Schedule today for your free, in-home consultation! We’ll make sure you are 100% happy with the service and your new blinds! Our experts offer free consultation on prices, styles and functionality. All of our products are built to last for years into the future. Enjoy our collection from classic beige roman to modern black and white layered shades. 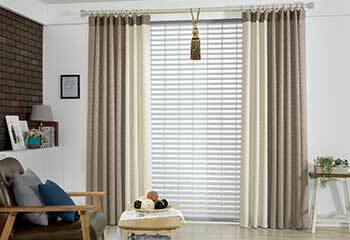 Delivering high quality and custom made window shades and blinds. For those looking for UV protection and clear visibility, but also a way to maintain privacy when they want to, layered shades are the way to go. Find out more here. With cellular shades, you can do more than just block sunlight and improve your interior décor. 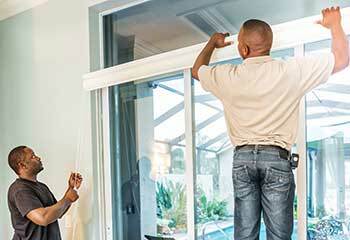 You can actually make a room more energy efficient. Learn more here. You can keep yourself and your belongings safe from UV radiation while also having a clear view of the outside world. How? Why, with sheer shades of course. Read more here. The ancient technology Roman shades utilize is still a very functional and effective way to block sunlight with a simple way that requires very little room. Find out more here. The simple and classic look is something that many homeowners opt for. Roller shades fill that role perfectly, and they're excellent if you're looking to replace your old window coverings with something a little more modern but not garish. With motorized shades, you don't have to mess with any strings or cords when you want to control natural lighting. Pushing a button is all it takes. Learn more here. 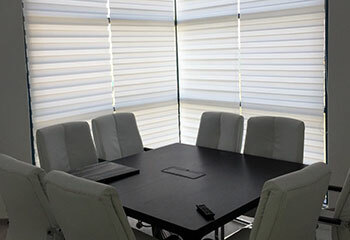 Looking for custom made blinds and shades for your business? Our company has a wide selection of products to offer you. Find out more here. Window treatments, either hand-drawn or motorized, are fast becoming a prerequisite for a cozy and productive indoor environment. This is true both for homes and businesses, whether an office, a restaurant or a clinic. 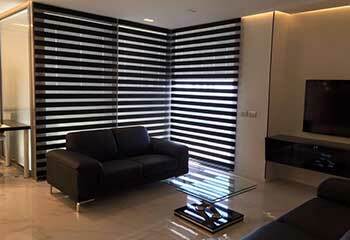 The use of blinds and shades is especially important during certain parts of the day, when the sun is brightest and when darkness falls and you want some privacy. Finding the right window coverings for your Westlake Village property isn’t always a simple decision, especially considering how many different options there are, and how many variations exist. 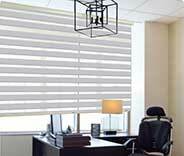 Instead of scouring the internet in search of answers to your questions, you can simply get in touch with nearby blind and shade experts, who’ll meet with you for a free consultation, at your home or at your office. It always gives us joy to introduce Agoura Hills property owners to the wonderful world of window treatments. The sheer variety of styles, designs, and materials makes the process feel like a puzzle game. The goal is to match each customer with the light filtering shades or room darkening blinds that match their needs and budget the best. Whether you live in Simi Valley or somewhere close to Moorpark, getting the most out of your window covers has nothing but benefits. While the main purpose of blinds and shades is to protect the interior of your property by blocking and diffusing sunlight, there are extra features that many window treatments offer that are worth considering, if nothing else. 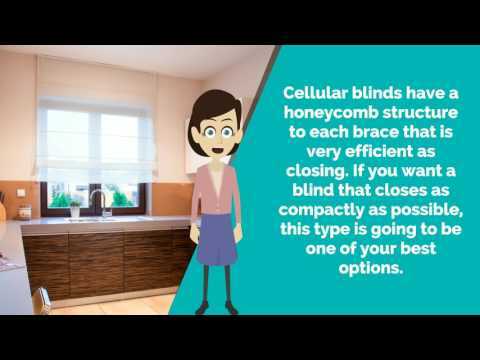 Cellular shades make for especially great covering options for those who want to reduce heat transfer and improve a room’s thermal efficiency. Faux wood blinds are great if you want the classic beauty and charm of the real thing, without having to think about the maintenance it usually involves. Roman shades sure look great, with their unique folding style and their looped or flat design. But you know what looks even better? Motorized Roman shades. That’s right. 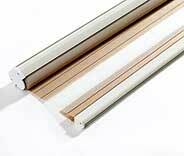 Nearly every type of window covers, from vinyl blinds to curtains and drapes, can be motorized. That means that their beauty and sun blocking capabilities will be significantly enhanced by the elegance and smoothness that motorization provides. The sheer convenience of controlling your blinds remotely, using your smartphone or tablet, or having them adjust themselves according to brightness and temperature levels, is astounding. 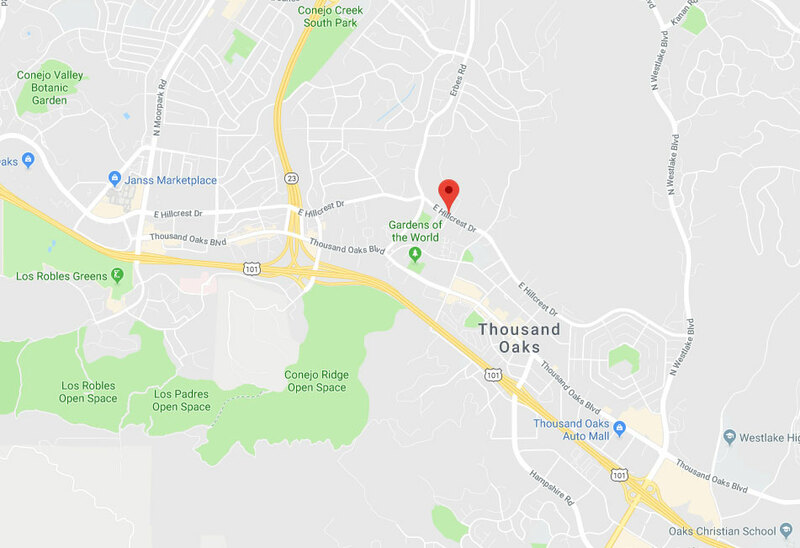 If you live near Calabasas or somewhere nearby like Fillmore, and you want to add smart window treatments to your home or office windows, then there’s just one thing you need to do. Whether you’re interested in light filtering roller shades, motorized skylight blinds, or some beautiful, custom made drapes, you can get exactly what you’re looking for by getting in touch with us. Set up a free consultation and let us install new, made to fit window treatments at your home or office. Our custom designed window treatments at Thousand Oaks Blinds & Shades are guaranteed to add beauty and value to your home or office while also lowering your energy bills. Stay comfortable all year long with blinds and shades from our experts at prices your budget can afford! Contact our team online or give us a call to schedule a free consultation today with our professional team today! Read all about our latest projects and get new ideas for blinds, shades, and custom made window coverings for your home! This customer wanted drapes that will add a classic elegance to the living room. Read more here. Click here and learn how we helped this customer decrease her air conditioning bills. This customer wanted to make his office windows look great. Click here for more details. Our team was there for this customer who wanted to protect her property. Read more here. I wanted new shades for my baby's nursery, and ended up getting sheer shades for bedroom as well. It looks beautiful, and screens the light just right. Professional and good priced. Finding great blinds wasn’t nearly as hard I thought it would be thanks to your wide variety. Our office looks amazing with the new cellular shades. Thank you! If you are looking for a place to get your new blinds, this is it! My living room looks completely different with the new custom made roller shades I ordered from this company. Definitely recommended! Our team knows how essential it is for you to be able to control how much natural sunlight gets into your home or office. While ambient lighting can be very lovely and energy efficient, the harmful UV rays pose a serious risk both to you and to your furniture. Check out the rest of our website to learn about the different window treatment options that can keep you protected, complement your interior décor, and even improve it in the process. Thank you for choosing Thousand Oaks Blinds & Shades! Feel free to browse our website for more useful information until our appointment!